Today we meet by the sea,as the two of you become one. Here where the earth meets this constant and unlimited force. And as these waters, may the love you share be limitless, flowing and ever-changing. May your love forever redefine itself and may it hold for you the very essence of life. In pledging your lives and love to one another you acknowledge the changes in your existence and celebrate your commitment to a strong and aware relationship. May your love touch and enrich all those with whom you come in contact, just as these great waters touch, nourish and transform the many shores of our planet. 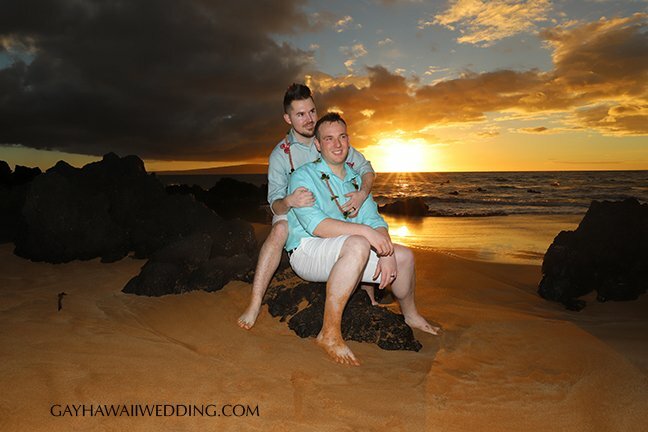 In Hawaii we exchange leis as a symbol of our love. 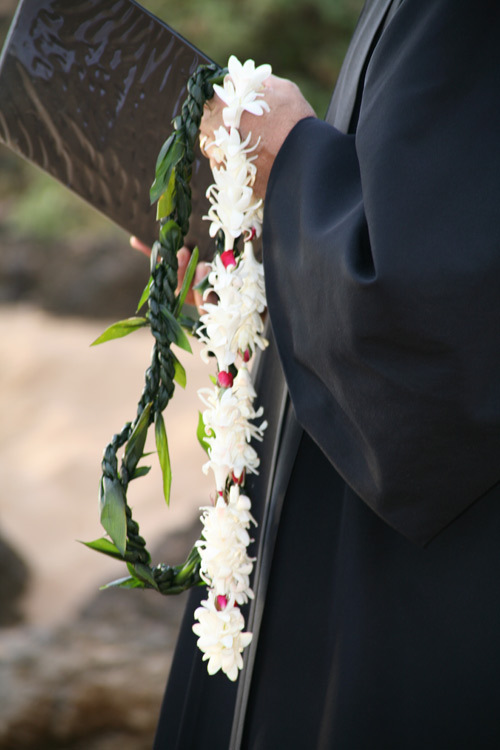 The beautifully crafted lei with its hand picked flowers and twine, carefully bonded together with love, is a reflection of your love and Aloha for one another. 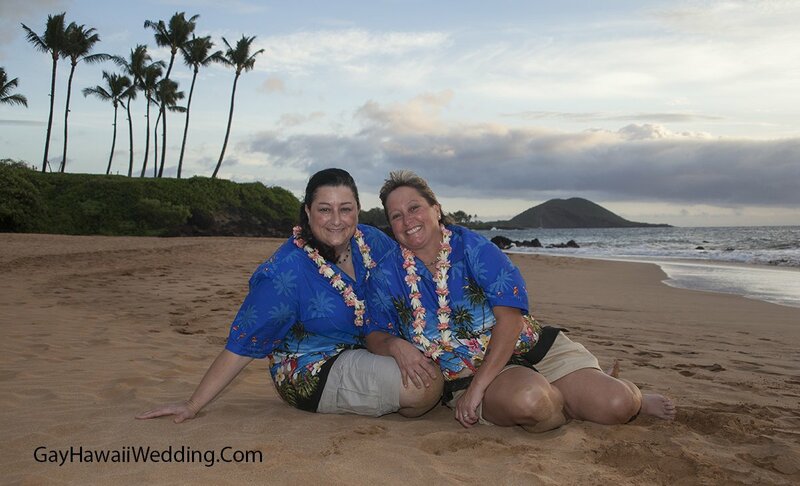 As you exchange these leis you will begin to weave your lei in life together with love. 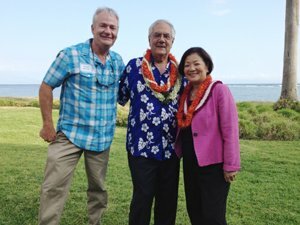 And now, with loving aloha (island style) please present your leis to one another with a smile and a kiss upon each other’s cheek. Do you————————take————————————to be your husband/wife Do you promise to love her, comfort her in sickness and in health. Forsaking all others for as long as you both shall live? and Do you————————take————————————to be your husband/wife. Do you promise to love him, comfort him in sickness and in health. Forsaking all others for as long as you both shall live? —————-, with this ring I promise to grow with you to build our love, to speak openly and honestly to listen to you, and to love and cherish you for all the days ahead From this day forward you shall not walk alone My heart will be your shelter and my arms will be your home. 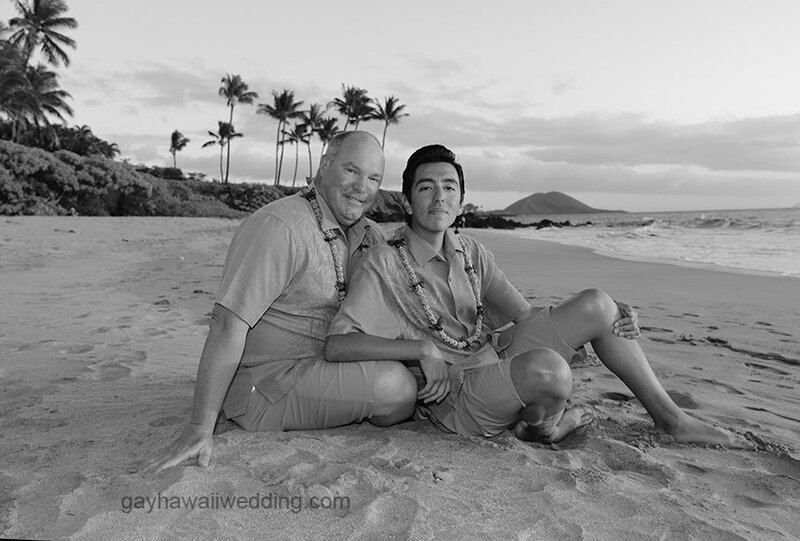 ———————— and —————————– You have vowed your love to each other, exchanged leis and rings so now by the power vested in me by the state of Hawaii it is my honor and privilege to pronounce you husband and wife and you may seal this covenant with a kiss.